Epsilon Talk » Blog Archive » Can you help Al escape? Can you help Al escape? I challenge you to a game. 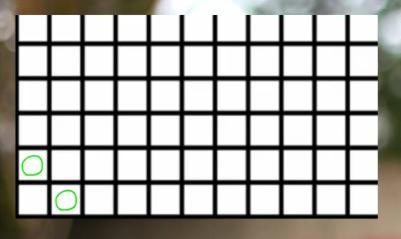 Imagine a grid of squares that extends infinitely upwards and to the right. 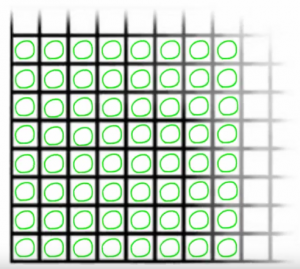 In the bottom leftmost square of this grid, there is an amoeba. 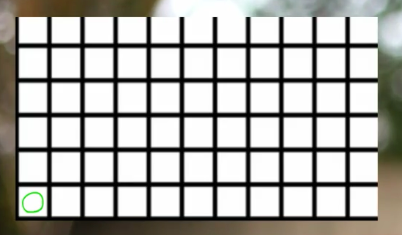 Imagine an infinitely extended grid with Al the Amoeba at the bottom left corner. During your turn, you can select an amoeba and clone it, putting one clone in the square directly above the original, and one directly to the right. You can only do this if the squares above and to the right of the original amoeba are empty. 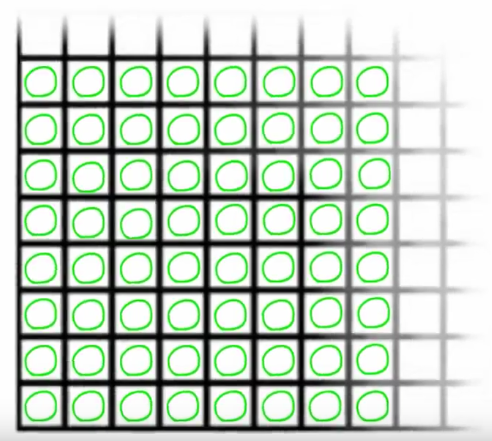 You can clone Al into the grids directly above and to the right of it. This is how Al clones. 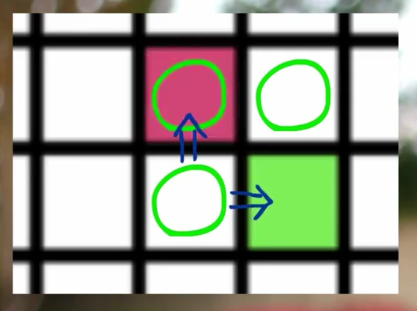 Al cannot clone if a space above or to the right of it is occupied. I challenge you to clone the amoebas in a way such that there are no longer any amoebas remaining in the 3 by 3 square around the original amoeba. Is this possible? Can Al escape a 3 by 3 grid? Try it. See if you can find a solution. 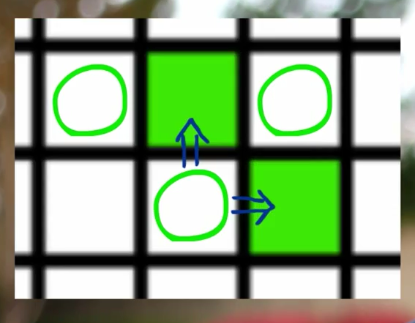 For the solution, check out the Washington Student Math Association’s video of this challenge. If you liked this video, be sure to like, comment and subscribe! Tell us what you want to see next!